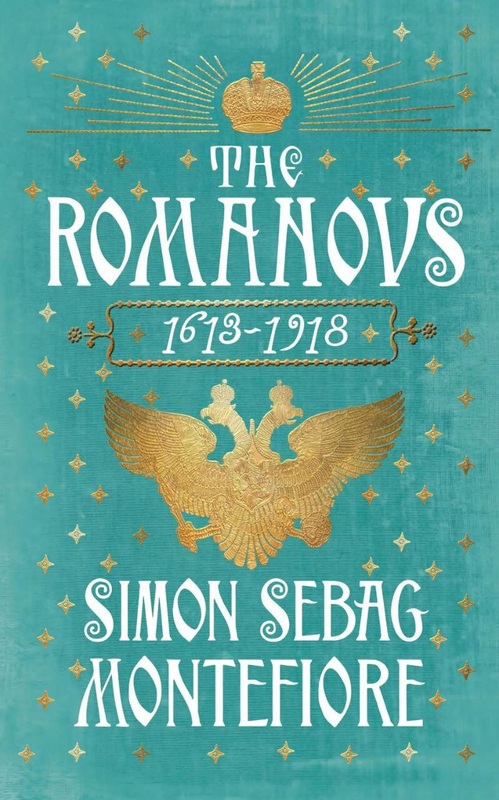 Book Review: The Romanovs by Simon Sebag Montefiore. This is quite easily one of the most spectacular looking books to be produced this year. Emerald dust jacket, shining gilt embellishments and two headed eagle, combined with white pseudo cyrillic writing evokes the winter palace in St Petersburg and the grandeur of the story you are about to read. It’s a hefty dynasty, 304 years of continuous autocracy means your wrist will be getting a workout. At just over 650 reading pages of fairly closely written text this is an outlay of at least two weeks normal paced reading, which somehow I managed to fit into about ten days. With three centuries of story comes a huge cast of characters, all of whom require a face to put with the description. Multiple image sections act as nice benchmarks full of rich paintings depicting Romanovs in all their glitz and in some cases malevolence. It’s funny I should refer to a cast, because Montefiore has organised his book into acts and scenes, rather than parts and chapters. This is nothing if not a theatrical narrative, in many ways it is pure theatre, with plots that would not be out of place in an Italian opera, and already it has been described by more renowned pens as operatic. Yet it is the subject that brings the house down. A more labyrinthine plot you’d never have invented, yet treated with a simplistic but rich narrative formula, with more anti heroes than Hemingway could nuance into being. Some unrepentant, some blinded by destiny, others solemnly bound, all the Romanovs, wether great or indifferent rulers carried that heady blend of monkish mysticism wrapped in tradition and spectacle, the swaggering assurance of military dictators down the ages, and the supreme faith of their own authority and stolidity within the unmoving structure of society. Every monarchical nation in some way has to have created the environment for that institution to flourish. Every hereditary ruling house throughout history has been able to rule because the cultural and social climate required them. Out of chaos often comes the beacon of a strong, divinely appointed ruler, that is supported politically by the nobility and church. Before the ascension of the reluctant Michael I, the first Romanov Tsar, Russia was a barbaric, boorish backwater set beyond the fringes of a Europe that was increasingly leaving the dark ages and medieval era behind. As with any royal saga the story of a nation’s royal family is the story of the nation itself and the course it took. By the time of Alexander I, Russia was a power player and the most powerful country in mainland Europe, and would stay that way until the Crimean war when this glorious, gory and dazzling sunburst of autocratic glory slid slowly into the catastrophe that would end in a sordid execution in a lonely basement room in the Urals. Montefiore presents the 3 Romanov centuries with a narrative that is rich in storytelling verve, relentless in pace, sharp in observation and exhaustive and determined in its conclusions. Although many of the Tsars and Tsarina’s were unfamiliar to me, I had some preconceptions and “spoiler alert” knowledge, that helped me when approaching this book, to gauge those parts I knew nothing about. The bones of a work on the Romanovs will essentially be tentpoled on Peter the Great, Catherine the Great, Alexander I and Nicholas II. This is inescapable, but in between I found myself transfixed by some of the lesser known Tsars, though I had hoped to find one of the other ruling Tsarinas more fascinating than the great Catherine, there is a reason why she carries that epithet. It is impossible not to admire Alexander II’s attempt at reform, which unfortunately sparked the real downward spiral into destruction which the dynasty never really recovered from. It is startling to think how different the Napoleonic wars might have turned out if Tsar Paul III had not been murdered. And to my surprise I truly found it impossible to be able to look upon Peter the Great, the great patriarch, who took Russia into the 18th century and paved the way for Catherine’s golden age, in the same light after reading of his despotic side. This is not by any means a poster for autocracy. No gilded or rose coloured spectacles have been worn while writing this. Nowhere else in Europe could have supported such a monarchy but the long suffering and deeply orthodox Russians. Almost every single member of the dynasty until Catherine the Great displayed a glamorous appealing side and a tyrannical despotism and paranoia. Truly the two headed eagle was apt, for not only did the empire look east and west but it reflected the two faced statesmanship displayed by most of the Romanovs. 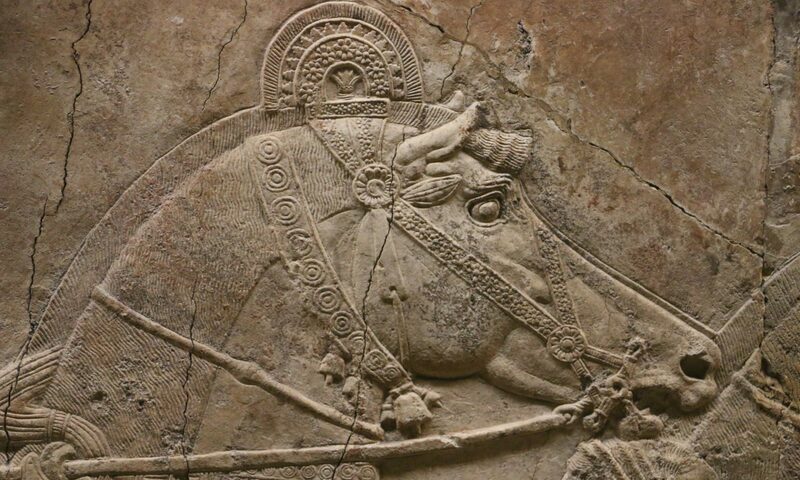 This trend of paternal (or maternal) ruler and vicious despot, where a father would murder his son, and slaughter thousands in conquest, began to slow with Catherine, though it would never quite disappear. The Romanov Tsars are seen as ruling at a distance, this distance being necessary to preserve the aura of Demi God like power that was associated with them. They issued orders and decrees often without he slightest care about what it could actually mean. Allowing them to claim victory and dismiss defeat, revel in glories and shrug off atrocities, while indulging themselves in a kind of extravagance that rivalled if not exceeded what went on at Versailles. They literally were Caesars, and as such their story is one of Roman splendour and excess, which is not really a surprise they thought themselves the successors to Byzantium. Their word was law until the sorry attempts to give their country a constitution highlighted how out of touch the dynasty had become. It soon becomes apparent that Russia retained its supreme autocrats because it was slower that other places to adapt to change, and as much as this is a story of an emerging state, rising to its peak and then descending back to anarchy, this is also a story of autocracy. That Russia remained mired at least 50 years behind the rest of Europe, sprinting to catch up in times of crises. The country needed it’s all powerful Tsars to survive, Yet whenever a ruling house becomes so removed that it fails to recognise that it’s subjects no longer view them as parents but oppressors, Revolution is never far away. The lessons of the French Revolution were both ignored and learned from. The successions of Tsarist secret service bureaus testifies to their growing paranoia with an ingrown fear of assassination and an outward looking terror of coup and revolution. Plot, denouncement and purge were not inventions of the communist era. They were alive an well from the earliest Romanovs to the last. The idea of packing off threats, enemies, troublemakers and anyone you didn’t like to Siberia wasn’t Stalin’s idea. There is indeed a surprising modernity to the constant reaction and instability, of coup and counter coup that can still be seen around the world today, most recently in Turkey. Yet Montefiore is quick to reassure us that the Tsarist purges were actually quite benign compared to their communist successors. It is morbidly ironic, or perhaps fitting, that the Romanovs themselves would be exterminated by a purge. This is how Russia got from the 17th century to the 20th, how it changed from the most powerful autocracy in the western world to the communism most people associate it with. Narrative history is probably the only way you can fit this story into one volume, and with that must come the dreaded generalisations, and unbending judgments that are the bane of the academic world. In those parts I was most familiar with I found these to be happily lacking, indeed there is especial merit in the treatment of Alexander I. Though some of the modern labels that are tagged to some characters had my eyebrow arching a tad. Yes, I did note some curiosities, though muskets remained in use until the late 19th century, the author repeatedly uses the word rife. This is pedantic, my apologies. Then there is an about face as the Crimean Army is described as using flintlock muskets, which is and is not on the ball as most of the muskets were converted to percussion systems by 1854, yet remained smoothbore. Again pedantic, I can’t seem to turn this part of my brain off. The skill of the writer cannot be faulted. Probably a more adept use of words to describe people cannot be found. The pug faced Emperor Paul dressed up like a tea cozy is right on the money. The cadaverous Pobedonostsev is a frightening description of a joyless vampire from a gothic nightmare. These ancillaries, beef out the “cast” with a slew of brilliant generals, wily politicians and over amorous courtesans. Each Tsar bar a handful, seemingly expected to ostentatiously poach good looking ladies as mistresses, like they might pilfer Balkan buffer States. These court nymphs often becoming as powerful as any of the ruling elite. Fascinating indeed was how open the upper echelons could become if you caught the right time. Anyone from former slave boys from Africa to the children of itinerate workers, or humble soldiers might be able to achieve a title, estate and serfs if fate decreed it. This dependency on fate is summed up by a story of Catherine the Great’s succession, when Potemkin’s horse refused to leave her side. Many unusual people would end up populating this glittering Galaxy by as I now like to put it, “Riding Potemkin’s Horse”. Montefiore’s character sketches are superb. Little vignettes like these make this book highly engrossing, each paragraph revealing something new and curious. The ascension of Nicholas I during the Decembrist Revolt is made for motion picture, so well crafted was it that I felt I could see it happening as I read. Quotes from numerous sources are used as conversational blocks, to make it as if the protagonists are really talking. A Russian view of things will win you few friends today, try explaining the Russian side of the Crimean war and you can expect a few frowns and yeah right’s around the table. And while it is unlikely that you will emerge with a favourable impression of this dynasty as a whole, some do come out of it deserving at least a patina of admiration, and it will be impossible not to sympathise with a few. I’m not just talking about Nicholas II, because one soon realises after reading of the other Tsars that got bumped off, that his disastrous reign was bound to pull him down either to exile or execution. From Bloody Sunday to the Russo Japanese War to the infatuation with Rasputin, (someone really should have taught him that royal favourites have been the downfall of many a king.) this was one damaging fiasco after another, and the damage already done to the dynasty meant that it was no longer strong enough (for a Tsar like Nicholas) to survive it. Yet this does not lessen the tragedy or infamy of his end, which was without doubt an unforgivable crime, brought horribly to life by the final act. Russia was never small scale, and this book reflects that. The Romanovs is sensational & unrelenting. A glorious, gory set piece classical Ballet of a book full of Byzantine intrigue, Total war, unrestrained passion, and the fragile invincibility absolute power.